​Han Hye-won is an associate professor at the Department of Content Convergence of Ewha Womans University and the head of Creative Content Lab. Her research focuses on storytelling and user culture in a variety of content in the new media environment. Her other books include Homo Narrans: New Humankind in the Digital Age, Digital Game Storytelling, Storytelling Strategies, Vampire Chronicles, Game Dictionary (co-authored), and Understanding Transmedia Storytelling (co-authored). This book studies female characters as depicted in new media content, aspects of their representation and narrative functions. Starting with Lara Croft of Tomb Raider, the first video game with a female protagonist to garner popular success, this book analyzes in detail female characters featured in a variety of genres and media ranging from TV shows that have recently aired in the U.S. including The Good Wife, Grey’s Anatomy and House of Cards, and films such as Gravity, Interstellar and The Martian to interactive dramas and web content. The author defines archetypes of female characters by analyzing the first female characters to appear in each genre, examples of popular successes, and portrayals of female characters in works of fiction, in addition to personally playing a vast amount of video games from the cartridges of the 1980s to the mobile games and VR games of today. 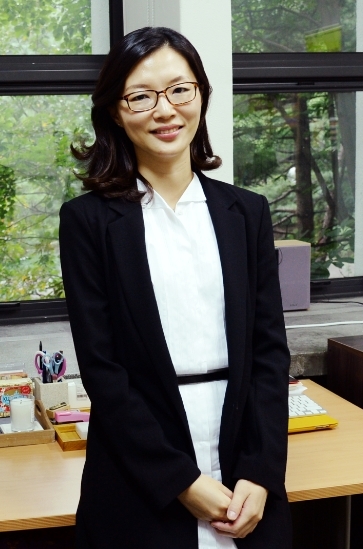 Her work was recognized to be of great importance as the first academic attempt of its kind in Korea, and was selected in the academic books category by the Publication Industry Promotion Agency of Korea in 2017. As a model of the typical “master character,” the author chooses “Alice,” who has been reinterpreted and used for multiple purposes across a wide range of genres and media since her first appearance in Alice in Wonderland in 1865. Just as Alice continues to return in new iterations, female characters in new media content are also reproduced, reinterpreted and consumed in a way to reflect the ideology and social interests of the time. According to the author’s analysis, not only are female characters in fictional content outnumbered by their male counterparts, females are also limited to performing given roles through their portrayal as someone’s mother or daughter, and motivation or reward for heroic acts by male characters. This book not only observes the roles and limitations of female characters in new media content, but also deals with attempts to surpass such limitations. Specifically, it examines purple games and indie games, which take issue with the distortion of sexual orientation and gender roles based on the assumption of a male player, with the aim to redefine the issue. It also studies Shirley Jackson’s hypertext fiction, which dismantles the female body as a once-neglected facet of art and then reconstructs it in order to generate new discourses. American musicians Lady Gaga and Beyoncé are also discussed in this book as artists who simultaneously demonstrate contradicting and subversive aspects of femininity. Fictional characters are a reflection of reality and, therefore, the process of analyzing the representation of female characters in new media content and identifying relevant issues generates social meaning and context in itself. Therefore, this book argues that the endeavor to jump down the rabbit hole and explore Wonderland must continue, and that the outcomes of such efforts will enrich the process of producing and enjoying content in the future. This book consists of two parts and 12 chapters. Part I analyzes female characters in new media content across various genres in Korea and abroad. 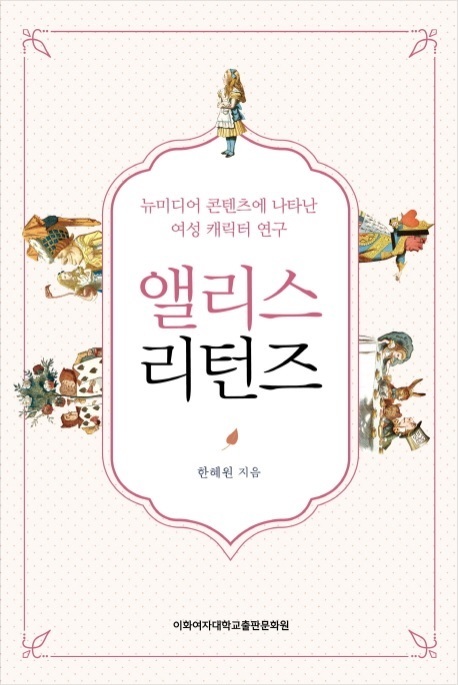 Chapter 1 focuses on the various prototypes of female characters through goddesses in Greek mythology, noting their innately limited roles as mothers and daughters of male characters. Chapter 2 looks into several online games such as Blade & Soul, World of Warcraft, and League of Legends as well as related broadcast contents, the neglect of female players and distorted gender awareness as found in the characters and narratives of bishōjo games, and various alternative attempts to overcome the aforementioned issues, such as purple games and indie games. Chapter 3 illustrates the significance and characteristics of experimental and avant-garde female characters in hypertexts, dramas, interactive dramas and alternate reality games, using specific cases. Chapter 4 examines the worldviews and female characters represented in genre fiction such as science fiction, fantasy, and horror novels to films, animations, and video games. Chapter 5 delves into Korean fanfiction, in which the line between the creator and consumer blurs and women are predominant in the field. It also explores the fandom genealogy of web novels and alternative features found in popular literature of the digital era. Chapter 6 focuses on attempts to reconstruct the female body and resolve gender inequality in new-media performances as seen in Lady Gaga. It then studies how the image of femininity should progress in scenarios involving future technology of the IT era, such as artificial intelligence. Meanwhile, Part II analyzes and classifies the representations of female characters in popular digital games in Korea and abroad, ranging from the cartridges of the 1980s to virtual-reality games of the 21stcentury.Femalecharactersareclassifiedintosixarchetypes:princess-queens,mother-goddesses,girl-fairies,witch-monsters,warrior-maids,andlostwomen,whicharefurtherdividedinto39subcategories. In the game world, female characters are largely used as a motivation or reward for a male character’s heroic acts, while their roles are limited and their representation is stereotyped. Therefore, gathering and analyzing examples for the portrayal of female characters in games should be continued in future research, and requires further examinations and discussions.